The “Doggie moms” are women (and sometimes men) carrying dressed up toy dogs in purses everywhere they go. 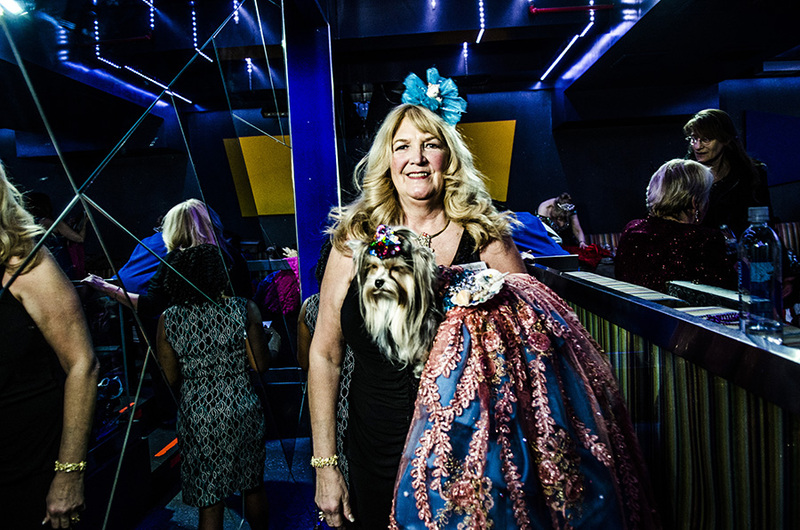 Through their dogs, they meet regularly, often for animal-related charity events, and for each occasion have their dog wear hundreds of dollars in bedazzled outfits. 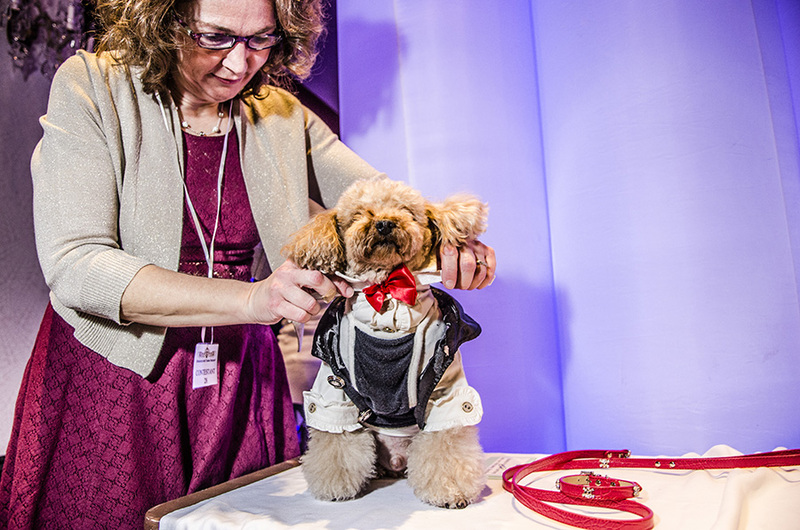 Pet fashion designers and Pet stylists have emerged, to provide this crowd with always more garments and accessories. 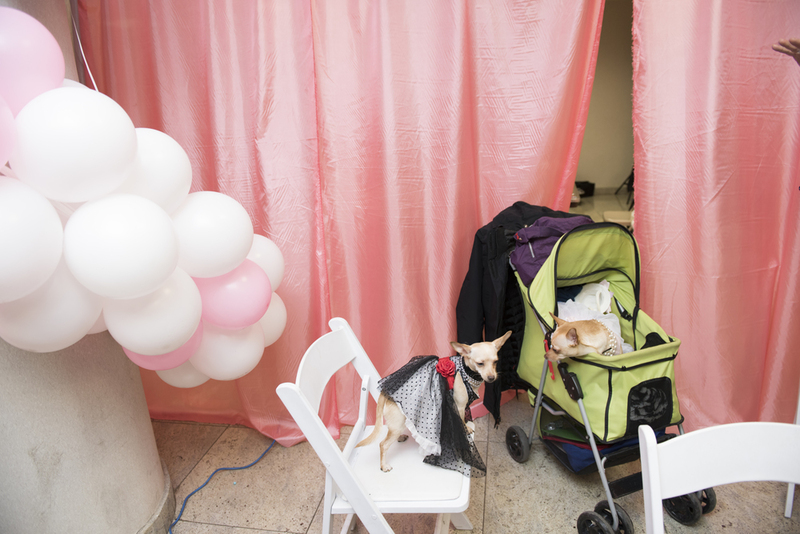 It is a thriving business where designers compete, and the Doggie Moms, sometimes acting like Stage Moms, would do anything to see their dogs in the spotlight. Many of these dogs even have their own Facebook page. The Doggie Moms disappear behind their dog. But, similar to the kids’ pageants, if the focus appears to be on the dogs, isn't the show really about their moms? In a city like New York where having a child is so expensive, where people don’t want to give up their freedom or lifestyle, where they feel isolated and have a hard time meeting their soul mate, the dog seems to be the perfect answer: a child that never grows up, never fails you, shows eternal gratitude and unconditional love, can be shaped to be a projection of your ego, fits in a purse, is the ideal companion, and a social anchor. The word “pet” etymologically refers to the “indulged child”. 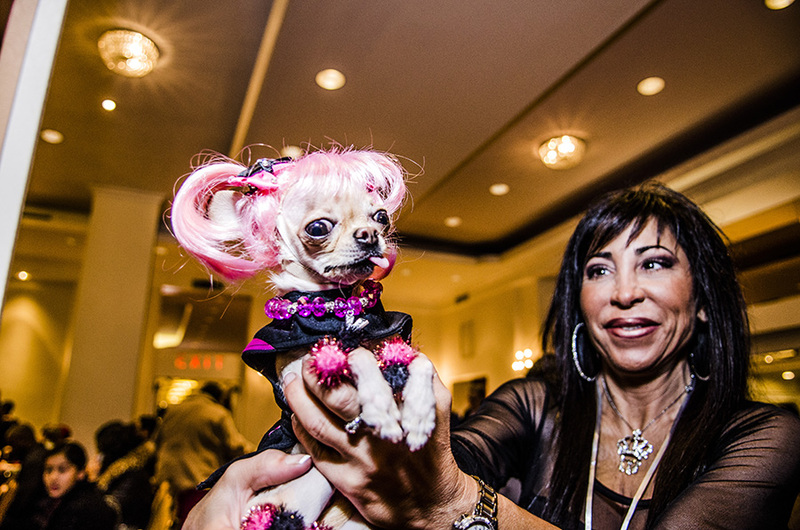 In 2013, New York City hosted its first Dog Pageant, the "Doggies and Tiaras Pageant". 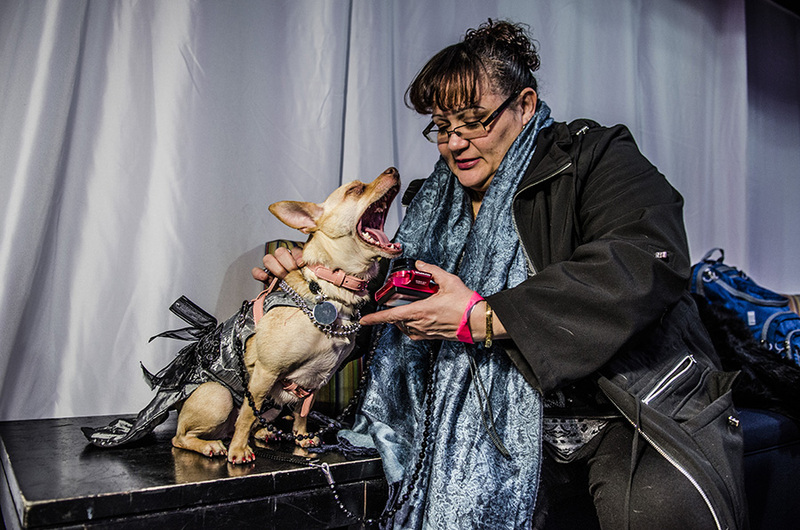 30 dogs competed for active wear, talent and evening wear in front of a crowd of people with their dogs. 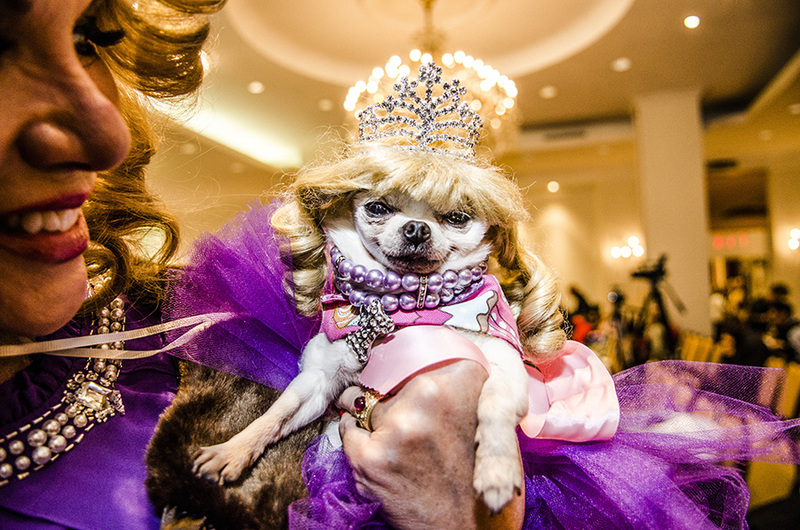 A second edition of the Doggies and Tiaras Pageant took place in February 2014 with 18 participants. The contestants had brought the pageant to a whole new level of creativity and the competition was fierce. 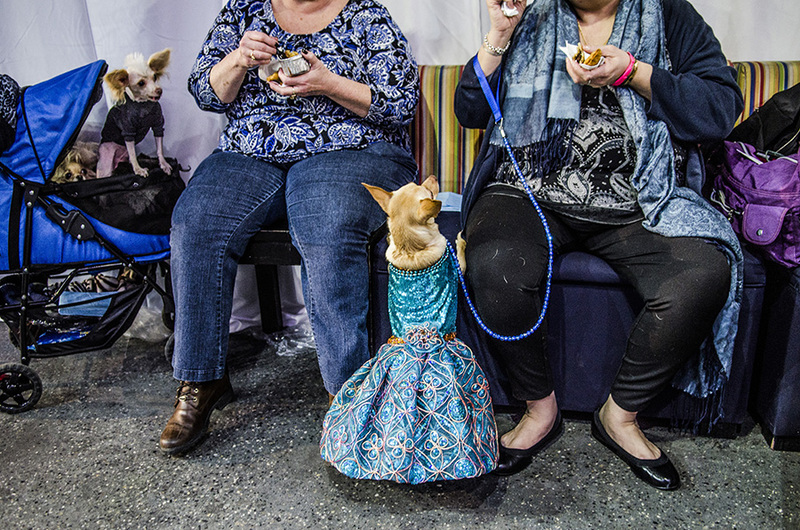 The presentations were carefully staged as the women found new and intricate ways of revealing their dogs' talents and outfits. 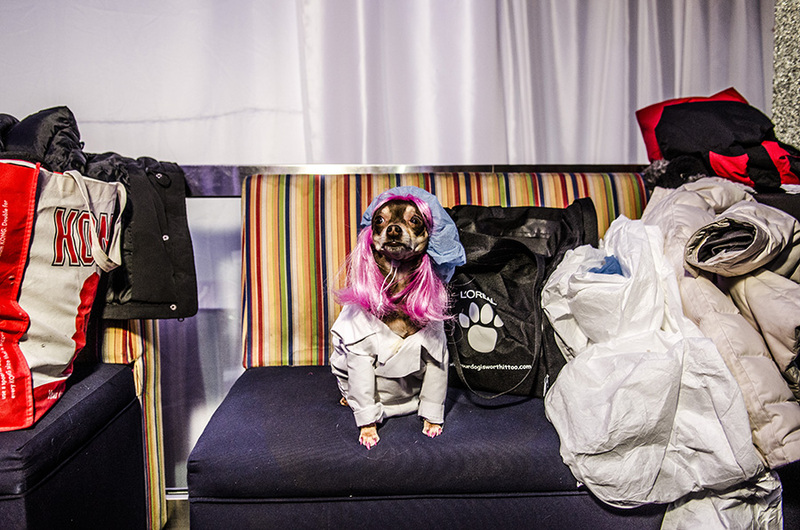 Backstage, dogs were getting pampered and ready to shine, with their moms, in the brief spotlight. We respect your privacy. Your email will not be shared with third parties. You will receive occasional emails for important news (book release, exhibit...).